I SAID SMILE! WHAT THE HECK? 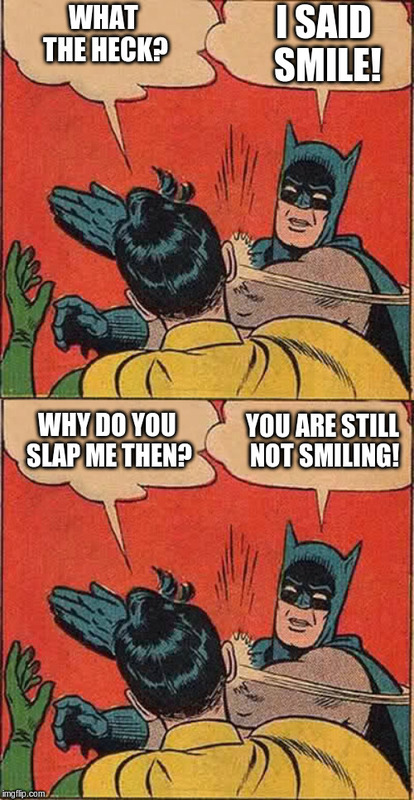 WHY DO YOU SLAP ME THEN? YOU ARE STILL NOT SMILING!